Independence Day is about celebrating the American spirit and the things we hold dear—Life, Liberty and the right to DO YOUR THING. We typically embrace the Fourth of July with fireworks, parades, baseball games and hot dogs. Continue your pursuit of happiness by adding the New York State Rhythm & Blues Festival to your holiday plans, and make your vacation great again. 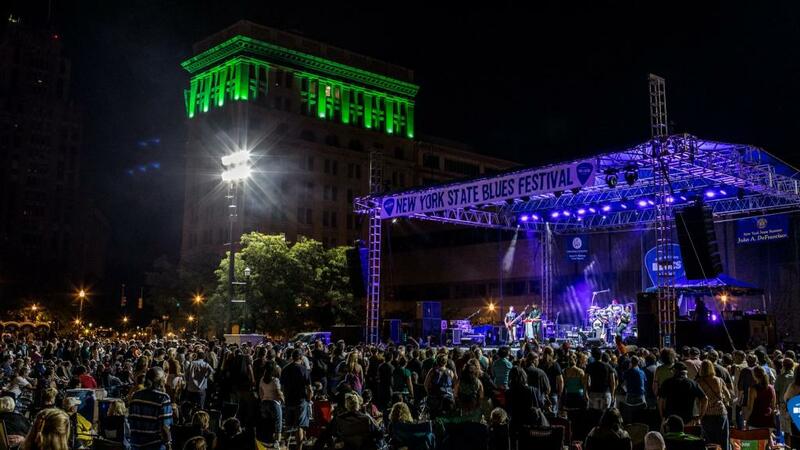 Showcasing a collection of regional and national artist, the New York State Rhythm & Blues Festival is a FREE event, that promotes one of America’s most unique styles of music. The festival takes place in downtown Syracuse, July 7-8, with events taking place in historic Clinton Square. Extend your holiday by taking advantage of fantastic hotel packages.